Let’s embark on a voyage into the world of “Ambient Land” once again, a cherished source of comfort, healing and optimism. 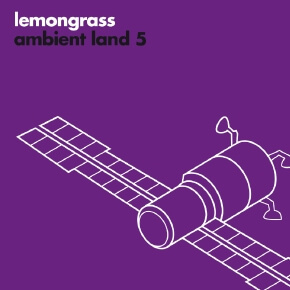 Initiated and designed by Lemongrass mastermind Roland Voss back in 2007, as an emotional, cinematic EP series of deep introspective soundscapes, “Ambient Land” invites to relax, retreat and free the mind. Taking off with swelling chords embedded in universal bleeps and shimmers, the opener “Civilization” is a meditative reflection about our today’s world. With “Ryu1” and “Dreaming” we see light glimpses of hope and peace on the horizon. Otherworldly yet organic in theme, images of distant Japanese places conjure up, while listening to “Fujiyama” and “Koi”. Without much surprise, as Roland Voss has travelled to Nippon already several times. These tracks are meant as an ode to the country, its culture and in particular to early Japanese electronic music, pinpointing personal memories and joyful moments. The spherical “Structure” with a beautifully distorted, mystical guitar theme is the right companion to take you home safely. The 5th edition of “Ambient Land” is fully crafted by Roland Voss, yet again underlining his unique talent to merge the musically good with soul and spirit into upfront releases of the electronic kind.